A pocket knife is a tool that many of us appreciate, but the brands that our pocket knives belong to are often overlooked by folding knife users that are less familiar with the knife trade. A number of good pocket knife brands exist with their own distinct qualities and variations in their products that differentiate their products from those that come from other brands. From Kershaw to Zero Tolerance to Buck Knives, there are many different options to choose from. Each one of those brands has a unique story behind it of how it came to be and accomplishments that distinguish them from less accomplished brands. The Benchmade Knife Company, a brand started in 1979, is very transparent about the manufacturing process of their knives and overall information involving their production of knives. Over 90% of their knives are produced in Oregon City, Oregon and every single one of their knives is manufactured within the United States. A major component of their total revenue comes from selling knives to the military and to law enforcement. 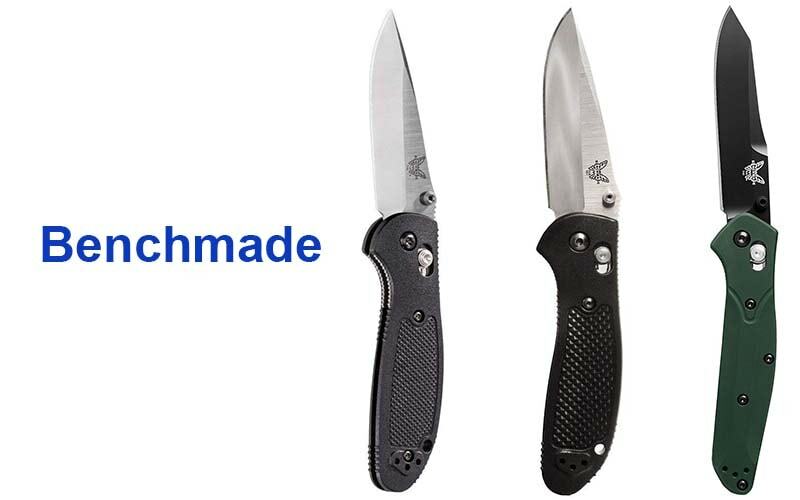 Benchmade pocket knife brand separates its knives into distinct classes with different purposes assigned to each class. Another unique Benchmade feature is that they’ve patented a locking mechanism that they use for most of their switchblades and they hold a license for the exclusive use of the AXIS Lock, a strong, spring operated mechanism for locking used in both manual action and automatic models. Another best brand in pocket knife manufacturing is the Kershaw. It was founded in 1974 in Portland, Oregon with the goal of designing and manufacturing tools that would make knife users proud to own, carry, and use them. Quality craftsmanship is a staple of Kershaw products and shows the dedication put into the manufacturing of each knife. Kershaw is proud to guarantee a lifetime of performance from their knives that results from their use of high-quality materials, extremely tight tolerances, and cutting-edge manufacturing techniques. In fact, they are so confident in the performance of their knives that they are famous for offering a Limited Lifetime Warranty to their customers. 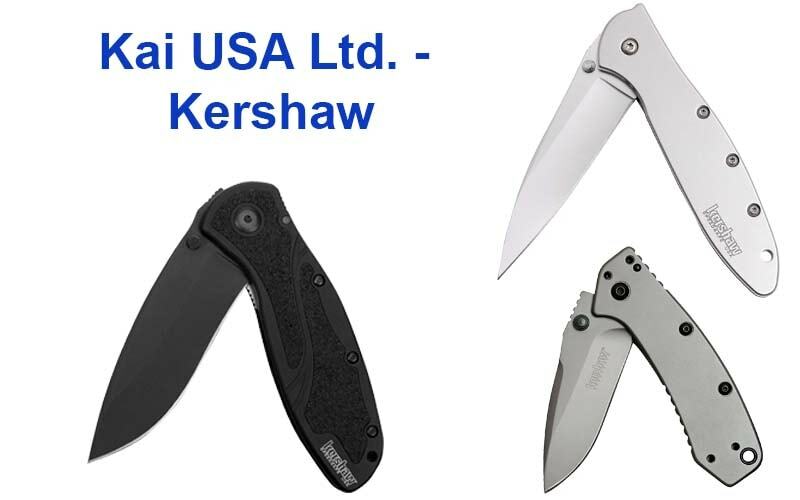 Kershaw has pioneered many modern standard materials and technologies used in the knife industry, including Composite Blade technology, which combines two types of steel into one knife blade. 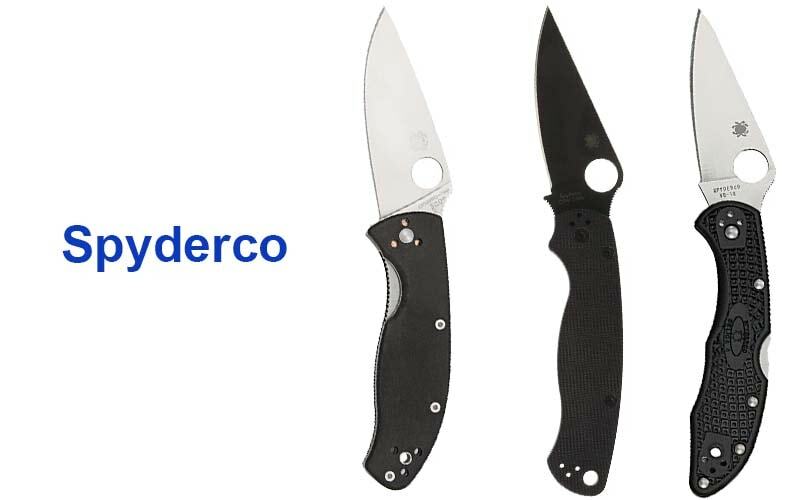 One top pocket knife brand that isn’t based in Portland Oregon is Spyderco, which is based in Golden, Colorado. Spyderco was founded in 1976 by Sal and Gail Glesser, who immediately began focusing on selling their first product, the Tri-Angle Sharpmaker. The Glessers put down roots in Golden, Colorado and produced the first Spyderco folding knife in 1981. The design of that first knife pioneered several concepts in knife-making today, including a round hole in the blade for opening the knife with one hand, a clip on the handle, and a serrated edge on the blade. These new features would end up revolutionizing the knife industry and defined the form of the modern folding knife. Spyderco’s success has led to their resources expanding to include global outsourcing for the production of most Spyderco knives. Once again, we find that another best pocket knife brand is based in Tualatin, Oregon. 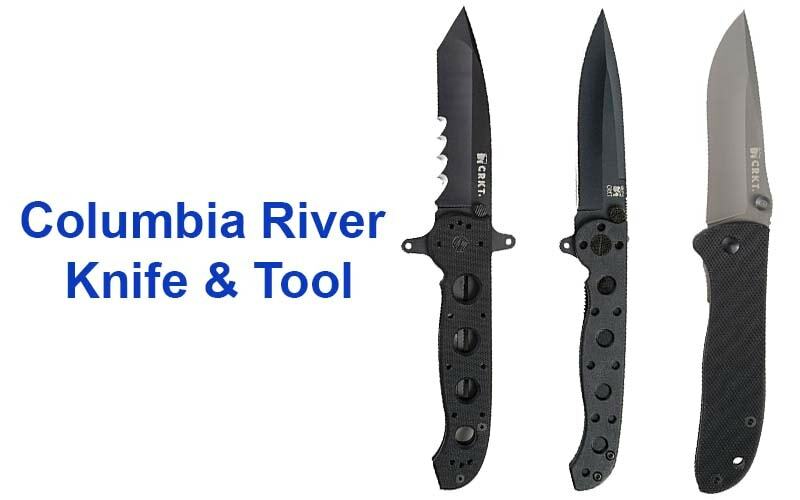 Columbia River Knife & Tool was started by two former employees of Kershaw in 1994 by Paul Gillespi and Rod Bremer. The company truly began to take off in 1997, when Columbia River Knife & Tool introduced the K.I.S.S. knife to the world in that year’s SHOT show, an annual trade show for the shooting, hunting, and firearms industry. The CRKT brand produces a wide range of fixed blade knives, folding knives, tactical knives, multi-tools, sharpeners, and carrying systems. Columbia River Knife & Tool has collaborated with some of the world’s greatest knife designers, including Ken Onion, Allen Elishewitz, Liong Mah, Greg Lightfoot, Tom Veff, and the Graham Brothers to ensure that all of their customers can experience their motto, “Confidence in Hand”. Zero Tolerance is another one of America’s high end pocket knife brands and is also based in Tualatin, Oregon. 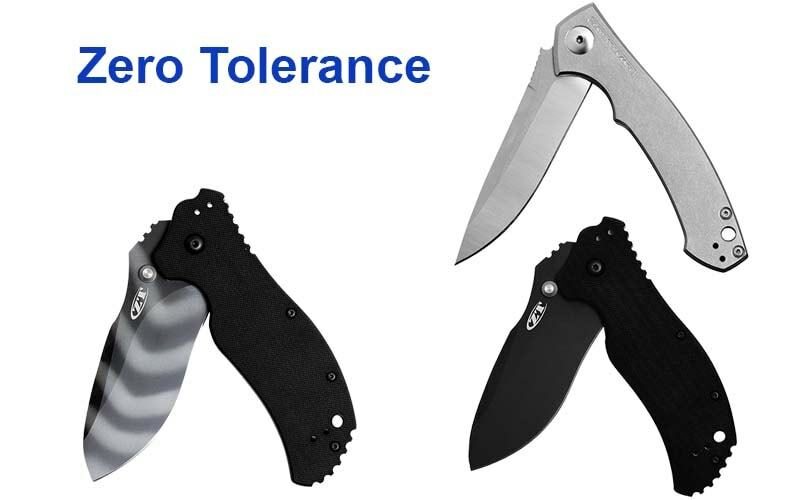 The Zero Tolerance brand first appeared in 2006 and has consistently produced award-winning knives since then. Zero Tolerance’s first knives were designed for combat in military and law enforcement, but the line has since expanded to include a variety of different general use and premium knives. Because Zero Tolerance is owned by the same company as Kershaw knives, customers expect a similar level of craftsmanship and Zero Tolerance consistently delivers. Over the 11 years of Zero Tolerance’s existence, it has received 8 different awards, many of them for producing the Knife of the Year of that year. This sharpest pocket knife brand received its name because the creators have “ZERO TOLERANCE FOR ANYTHING LESS THAN THE BEST”, a claim constantly proven through the consistent quality of their knives. One high quality pocket knife brand which was founded slightly earlier than the Opinel brand is the Ontario Knife Brand, which was emerged in 1889 in Naples, New York by William B. Ensworth, William Maudsley, and Charles Albert Brace. As of 1902, the Ontario Knife company is now based in Franklinville, New York, where a majority of their domestic products are now produced. Most people who know of the Ontario Knife Company know it as a military issue knife manufacturer. It has supplied the United States military with many products, including the M1942 Machete, the M7 bayonet, the Navy MK3 MOD 0 diving, the USAF Survival Knife, and the M9 bayonet, survival knife, and recently the USMC OKC-3S Bayonet. 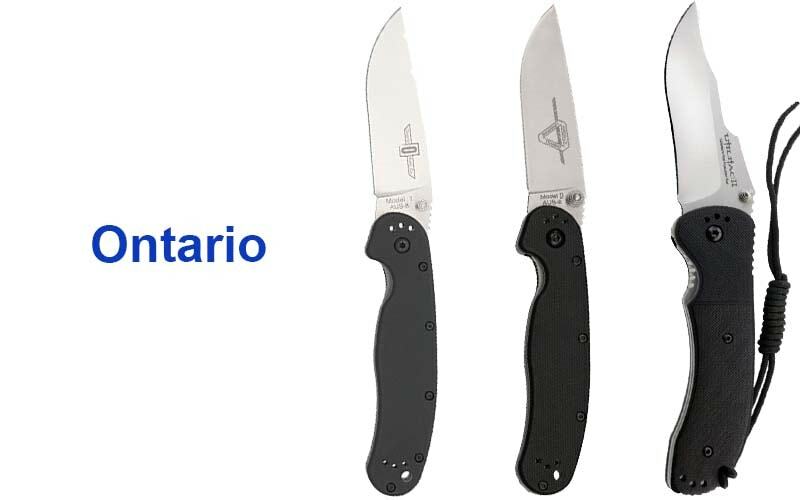 The Ontario brand also offers several lines that are available to the public and are specialized for sporting and survival purposes. SOG Specialty Knives, Inc. is a legendary blades manufacturing company that was first made famous for their reproduction of the original SOG knife, a bowie knife from the Vietnam era. SOG Specialty Knives was founded in 1986 in Lynnwood, Washington by Spencer and Gloria Frazer. They remodeled the original SOG knife by altering its leather handle, stock, and grind lines. Today, SOG folding knife brand manufactures types of knives other than military-inspired designed ones, specializing in everyday carry knives. Their knives are commonly carried by law enforcement, military, hunters, outdoor enthusiasts, and everyday carry knife enthusiasts. 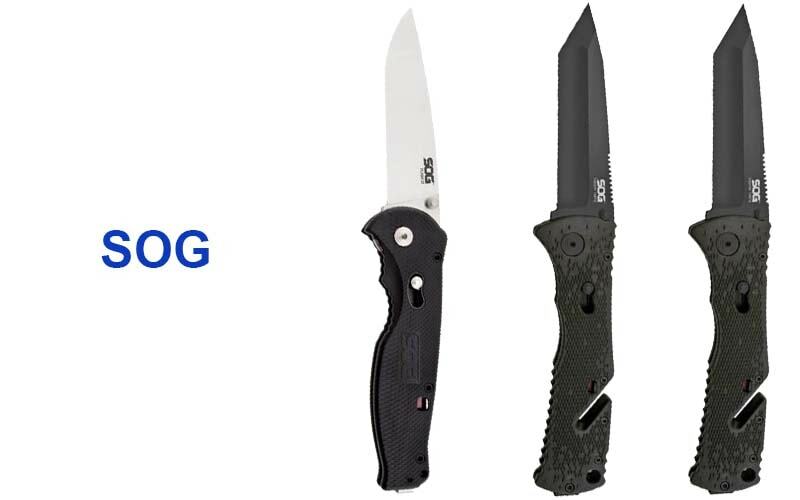 A SOG knife has even been honored as the Navy SEAL knife of choice. SOG utilizes designs that are simple but complex making them timeless in their aesthetics and engineering and their goal is to design gear of the highest quality, distinction, and value, always defining the leading edge of knife technology. Cold Steel, Incorporated, headquartered in Ventura, California, has its origins in 1980 and has dedicated the last four decades to producing some of the world’s strongest, sharpest pocket knives. Cold Steel’s knives are used by military forces and law-enforcement personnel worldwide and the company has a great number of other achievements. Cold Steel popularized the Japanese short sword, the tanto and innovated a new locking system for folding knives named the Tri-Ad Lock. Cold Steel now produces all sorts of combat equipment, including fixed blade knives, tactical folding knives, swords, machetes, tomahawks, kukris, etc., all of which are produced worldwide, including locations in the United States, Japan, China, Taiwan, India, and South Africa. Though, their headquarter is situated in Ventura, California. This good pocket knife brand is well-known for its graphics marketing videos, which effectively demonstrate the strength, sharpness, and durability of their products through tests such as cutting through car hoods, using knives as monkey bars, and slicing through large pieces of meat and bone. Firearms manufacturers are also very capable of designing effective knives. Smith & Wesson is a good example. Its roots are in 1852 when its founders, Horace Smith and Daniel Baird Wesson, formed a partnership to manufacture a new type of firearm. Smith & Wesson’s products, especially their Model 1 revolvers, were in high demand during the Civil War. After the civil war, their products quickly rose in popularity until they became a world leader in handgun manufacturing. 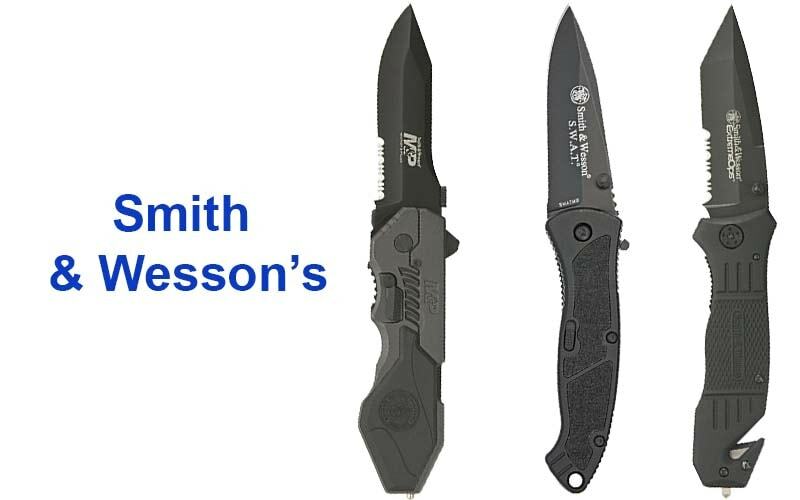 Since then, Smith & Wesson products have become standard issue to police and armed forces throughout the world and they have become successful in several other industries, including the knife industry. 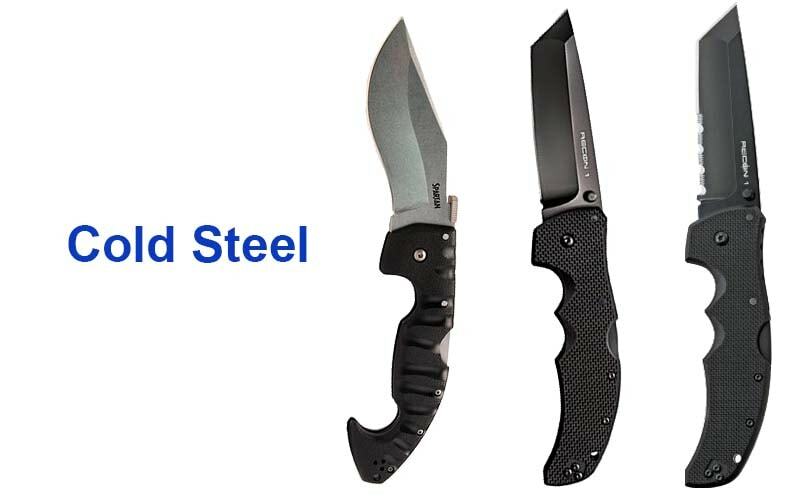 Smith & Wesson, best pocket knife brand manufactures multiple different types of knives including boot knives, assisted openers, tactical fixed blade knives, folding knives, karambits, and neck knives for customers to purchase. Today, their head office is situated in Springfield, Massachusetts. In 1902 San Diego, California, Hoyt H. Buck founded Buck Knives, one of the American best pocket knife companies that have been passed on through 5 generations of the Buck family. Hoyt Buck started hand making knives at 10 years old and he produced quite a few knives for U.S. troops in World War 2. Nowadays, their headquarter is located in Post Falls, Idaho. Buck Knives’ mainly produces sports and field knives and have also been given credit for inventing the folding hunting knife. 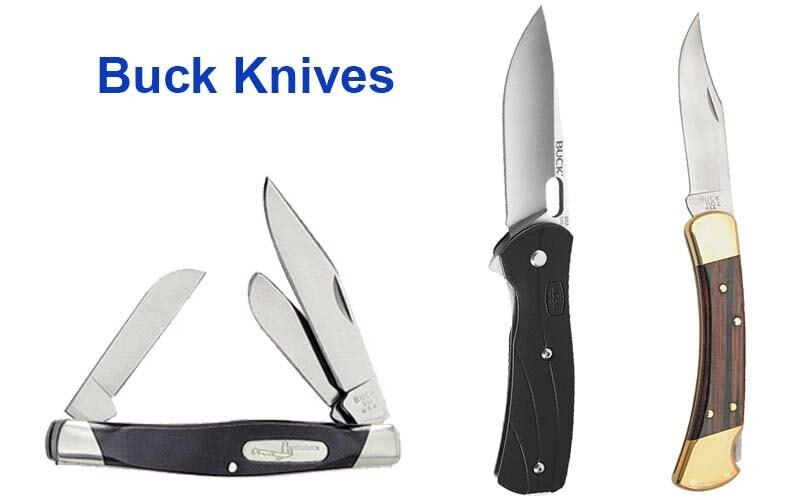 In fact, Buck Knives popularized the folding hunting knife to such a degree that the term “buck knife” is commonly used to refer to folding lock back knives, no matter who the manufacturer actually is. The brand also offers a lifetime warranty for every one of their knives and will replace it if it has any defects because Buck Knives believes that each knife represents the integrity of the establishment. The Gerber legendary survival brand was established by a man named Joseph Gerber in Portland, Oregon. In fact, Gerber is still headquartered in Portland today. In 1910, the Gerber family began an advertising business for which Joseph Gerber mailed homemade kitchen knives to its customers during the holidays. The business’s knives quickly gained popularity and Gerber Legendary Blades was officially formed in 1939. 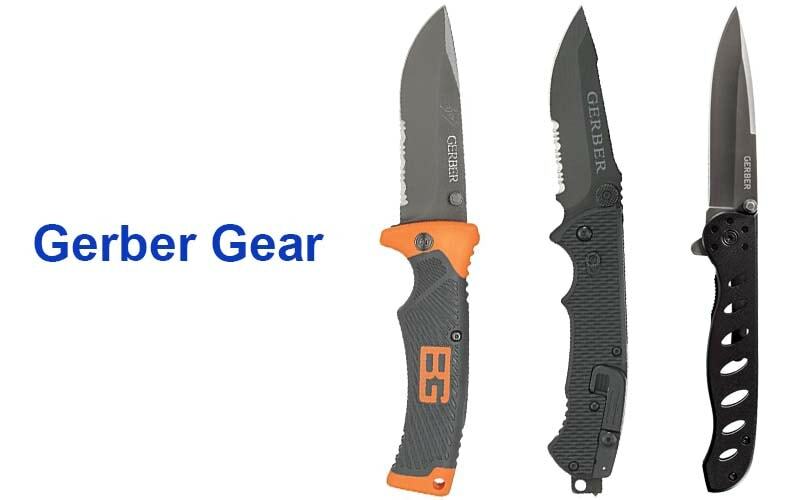 Since then, Gerber has become one of the most well-known names in the knife industry and has expanded to other industries, such as axes, machetes, flashlights, and survival kits. This best folding knife brand has also left a significant mark in history. During the Vietnam War, U.S. soldiers commonly carried the Gerber Mark II knife into combat and it was second to only the KA-BAR brand in fame. Gerber’s slogan, “Legendary Blades”, is a promise that they have certainly lived up to. 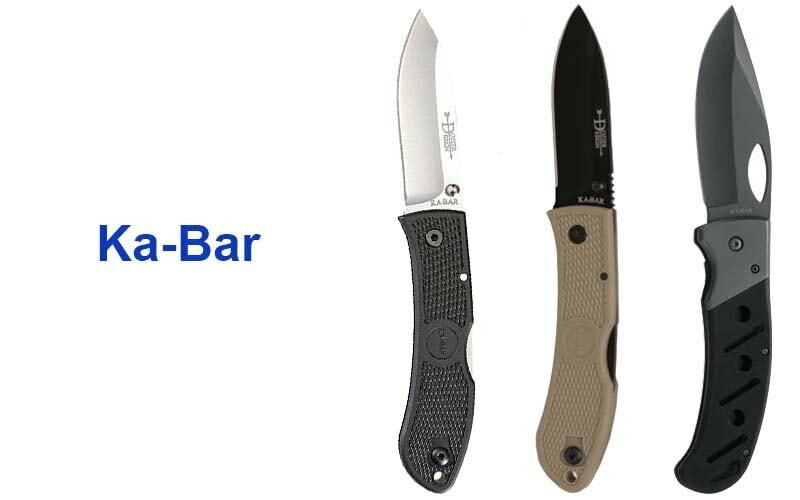 Speaking of KA-BAR, the KA-BAR knife is a trademark owned by the Union Cutlery Company, based in Olean, New York. However, before it became known for its production of the KA-BAR knife, it started out as the Tidioute Cutlery Company, founded in 1897. The Tidioute Cutlery Company went through several changes in the early 1900s including officially becoming the Union Cutlery Company and KA-BAR was officially trademarked in the 1920s. In World War 2, the Union Cutlery Company submitted a KA-BAR branded knife to the U.S. Marine Corps. The Marine Corps eventually accepted a reworked version of the KA-BAR knife and shortly afterward, it became standard issue for soldiers in the Marines. This knife became so popular that it spread to other military branches, including the Navy, Army, and Coast Guard. Today, the KA-BAR knife remains one of the most popular pocket knife brands in existence. Opinel Knives has its roots in 1890 in Savoie, France as Joseph Opinel began making penny knives that were very popular with local farmers, herdsmen, and wine-makers. From 1901 to 1903, he built his first factory and a machine that mass-produced the wooden handles that his knives commonly had. In 1955, his descendant, Marcel Opinel, invented the Opinel Virobloc mechanism, which allowed folding knives to be locked in the open position. Opinel Knives are also as environmentally sustainable as possible. 95% of the wood for handles comes from French forests that are managed with environmentally sustainable methods. Since its invention, the Opinel knife has become symbolic of French culture in general. Even Pablo Picasso reportedly used this best pocket knife brand’s knife as a sculpting tool. 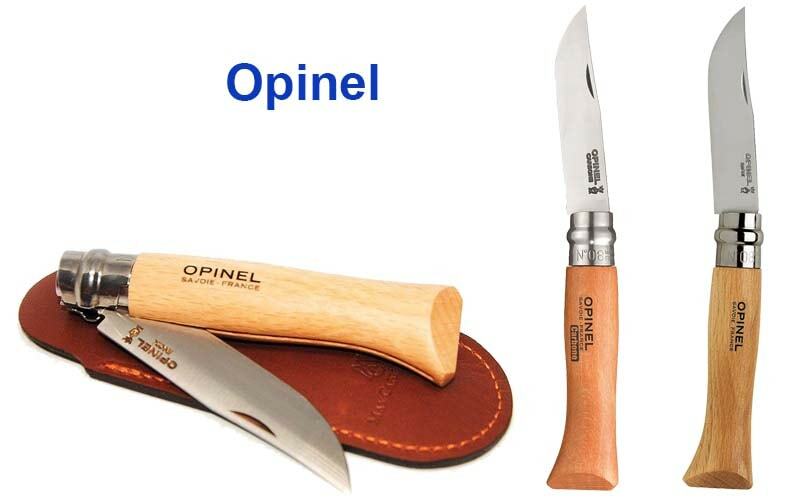 Opinel knives have become so popular in France that in French, the term “Opinel” is its own term that refers to any wood handled folding knife, regardless of the manufacturer. 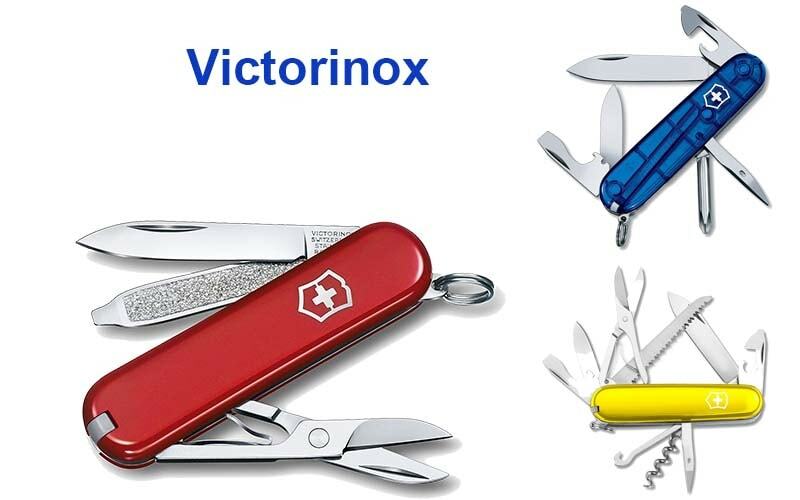 Victorinox, founded in 1884 in Ibach, Switzerland, is one of the world’s most popular pocket knife brands and their knives are relatively easily recognized by those who aren’t familiar with knife brands. Shortly after opening a knife cutler’s workshop that would eventually be known as Victorinox, Karl Elsener invented the Swiss Army Knife for the first time. Victorinox’s Swiss Army Knives gained a significant boost in popularity during World War 2, as United States soldiers bought them in large quantities and they became popular souvenirs to take home from the war. Ever since then, this knife company has been known for its manufacturing of Swiss Army Knives, although they do also produce kitchen and chef knives as well as other products. Victorinox’s highest priorities in its manufacturing practices are product quality, functionality, innovation, and iconic design. Each of those qualities is clearly shown in all of their products. MTech USA is a brand owned by the company Master Cutlery, originally founded in 1982. At present, their head office is remaining in Las Colinas, Texas. MTech USA is Master Cutlery’s largest and most successful pocket knife makers. It’s also one of Master Cutlery’s most diversified tactical brands and it includes pocket knives, fixed blade knives, tactical knives, archery products, batons, and stun guns. 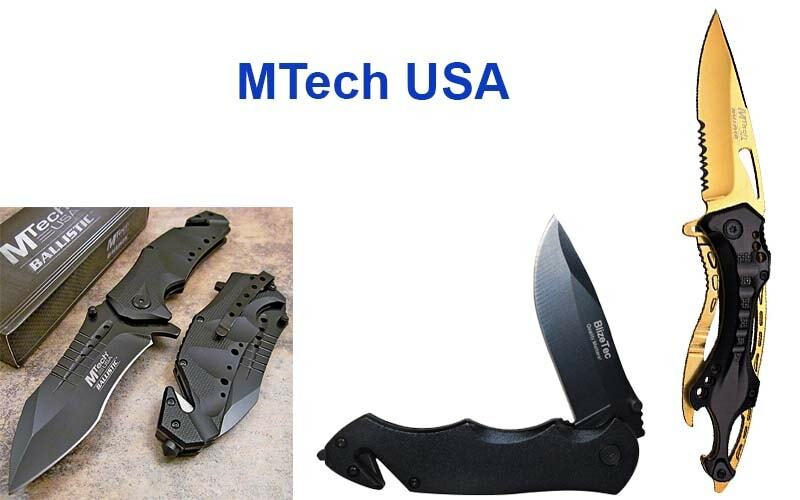 MTech USA’s main products are spring assisted opening folding knives but their lines of fixed blade knives are also very popular. All MTech USA knives are made with high-grade materials such as 440A and 440C stainless steel blades. Every product of this high quality pocket knife brand is created using computer numerical control technology, which automates knife production with pre-programmed sequences of machine control commands. MTech USA’s popularity has also inspired a female-focused line named Femme Fatale with MTech USA’s excellent quality and reliable products except with more fashionable designs.